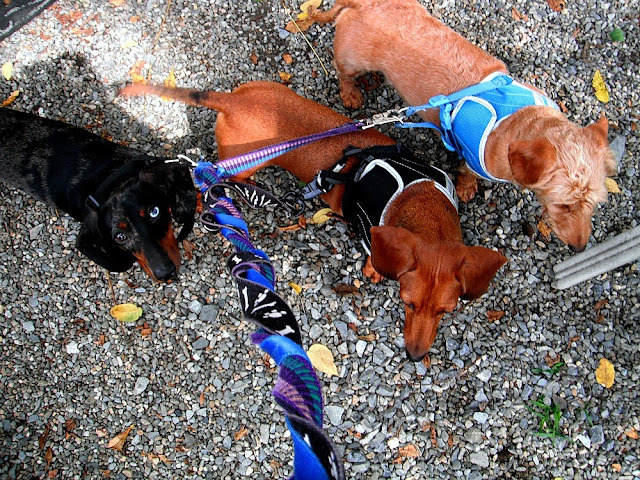 A must have item for any dachshund owner is the harness. Dogs with long backs need to walked safely, and you don't want to tug on their necks and hurt them. 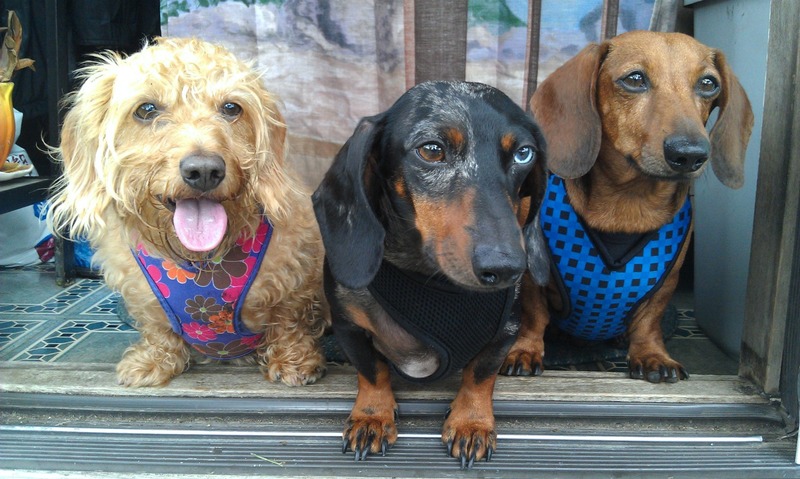 We didn't realize at first when we had our first dachshund, Watson, until another dachshund owner mentioned it. It just makes sense, that way, if there is any pulling, either way, its on the whole dog, not just their neck. We got one for Watson and all our current dogs have them and we've never had problems. In fact the reason I brought this up is that Peaches and Fooze just got new ones and we took a good walk this morning to try them out. All went well. These new ones, which are like Spaatz's (he's the youngster) you can make them fit pretty custom, so there won't be any slipping off and there is no velcro to wear out. So get out there and walk them doggies, just get them the right gear. 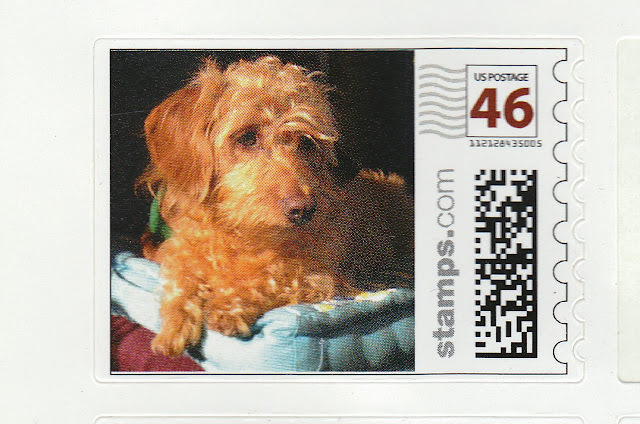 I put Miss Peaches on a postage stamp. When you get a letter with Miss Pookins on it, most likely its your birthday or some sort of special occasion. Naturally I had to cough up some extra dough for these, but they are clearly worth it. It's a glamour shot of a very sweet wirehair dachshund. She just jazzes up the mail and makes a special day just that much better.